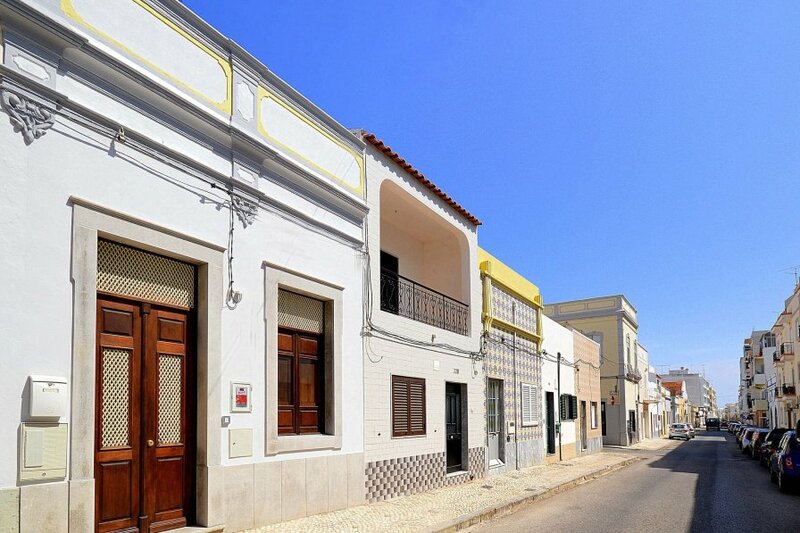 This authentic holiday home is located on the edge of the center of Olhão and is equipped with all modern conveniences. The living room has a sitting area (also sofa bed), a dining area and then the modern fitted kitchen and bathroom. A staircase leads to the loft where there is a wonderfully large double bed. You also have a spacious sun terrace with sitting area and sun beds, a parasol is available for the hottest hours of the day. Within walking distance you will find a bakery, pastry shop (with delicious coffee and the famous pastel de nata), a supermarket and a few restaurants. Olhão is located on the Ria Formosa, a protected water and nature reserve. The beaches are on islands off the coast, such as Praia da Armona, Praia da Culatra and Farol. All islands can be reached by water taxi or (in high season) public ferries almost every hour (35 minutes by boat). There are also cafes and restaurants on the islands, the beaches themselves are very natural, a real paradise! By car you can easily reach Faro (8.5 km); a pleasant town with beautiful buildings and pleasant squares. You can also go to the beach here. The beautiful beaches (the bays that the Algarve is so famous for) west of Faro are also easily accessible.